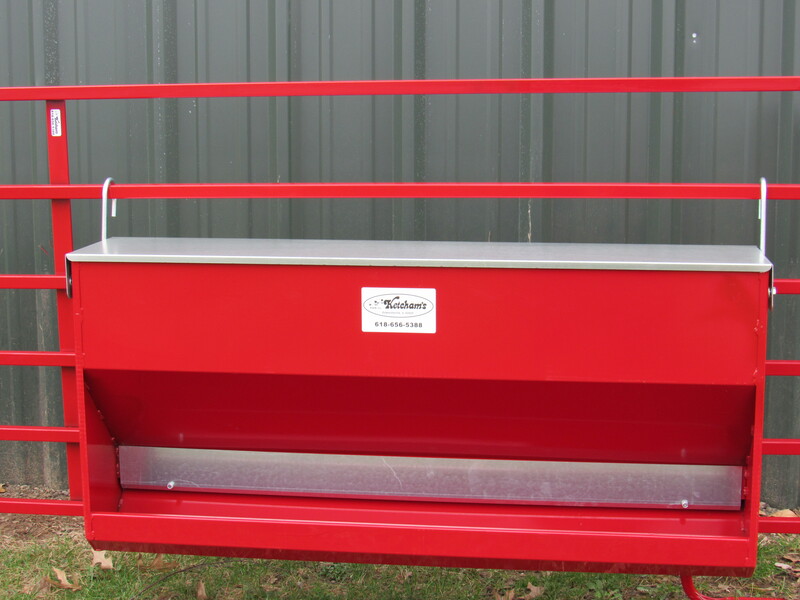 The Creep Feeder is available in two sizes—24” or 48” in length. 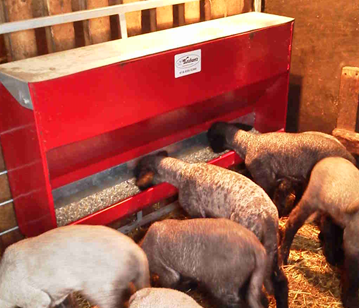 The feeder has a galvanized lid that lifts up and can be opened from outside of the pen and has a slider plate that adjusts from inside of the feeder to control the flow of feed for your lambs or kids. 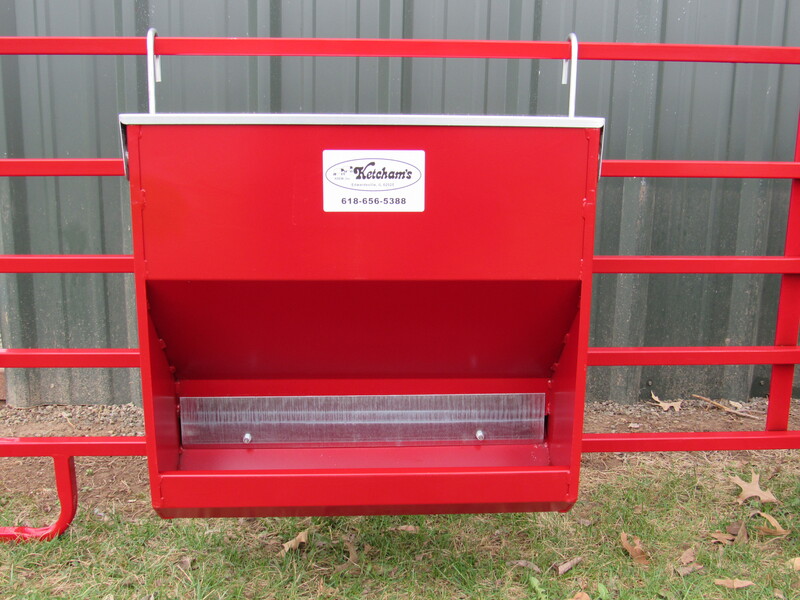 There is a built-in handle inside of the feeder to help move the feeder. 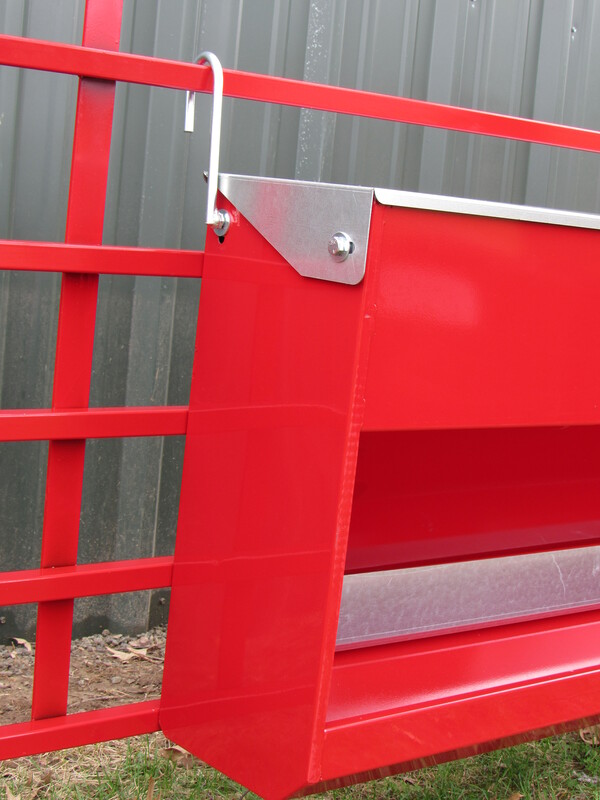 It has two large zinc plated swivel hooks so it can be hung almost anywhere in the barn. 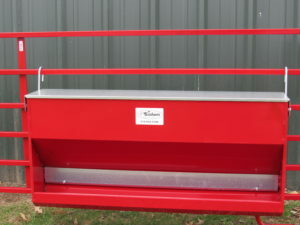 The 24” Feeder holds over 50 lbs. of feed and the 48” Holds over 100 lbs. of feed. Zinc plating and galvanizing options are not available.